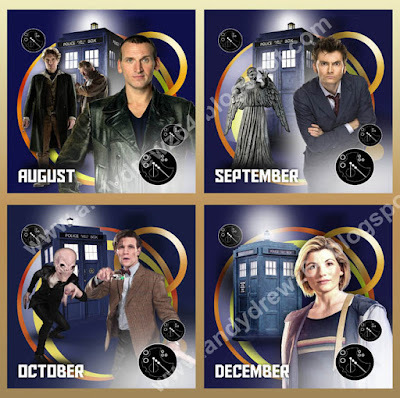 There's some images going round at the moment apparently taken from the officially licenced Doctor Who calendar. One shows a cover featuring the last four Doctors - Christopher Eccleston, David Tennant, Matt Smith and Peter Capaldi - but no Jodie Whittaker (despite her debuting last Christmas and being the incumbent Doctor for the duration of the said calendar's use). The other shows an image for January (possibly from a different calendar featuring ALL of the Doctors) showing an odd image of the first Doctor together with that peculiar hybrid Cyberman from a 1970 photoshoot for the Radio Times. The Jodie Whittaker omission feels like a Justice League product that doesn't mention Wonder Woman. 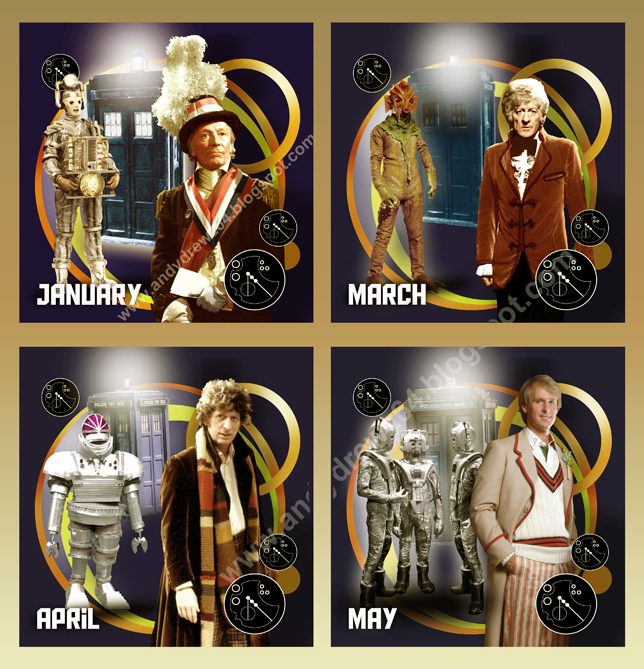 Whilst the inclusion of THAT Cyberman as part of a first Doctor design is just plain shoddy. I've done my best. I've knocked these up pretty quick with some available cut-outs I already had on the mac and using similar design elements as the actual calendars. They didn't take me too long and I've kept them simple. But, though I say so myself, they are 100% more in keeping with the series and the efforts to create a quality product that Doctor Who fans will want to buy as opposed to 'will' buy just to keep the collection complete. 06.07.2018 - Added some later Doctor designs. Labels: 13th Doctor, 60s, 70s, BBC Incompetence, Calendars, Doctor Who, Fake Merchandise, Jodie Whittaker, Radio Times, TV nostalgia. Yeah, you're right. DW calendars have been a curate's egg for a while. 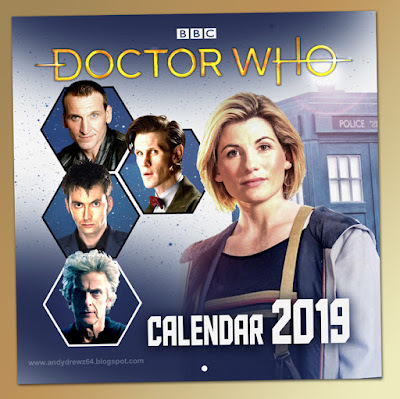 There are 2 obvious calendars: one that promotes the New series or the latest episodes (**This** year should be all Jodie, Jodie, Jodie....), the other is an effective celebration of the rich past history (e.g. A few years ago there was a 'girls' of DW calendar I saw ads for but never saw in the shops.. so I missed out). Plus *that* Cyberman (and the February Silurian) seem to be doing that weird 'power stance' that UK Tory politicians do. Ew!